My husband, John and I just returned from vacationing in The Keys. While in Key West we rode the bikes we rented EVERY DAY and went every where across the island! To Duval Street, Fort Zachary Taylor State Park, the Southermost Point, Smathers Beach and even to the Key West International Airport to hop on a seaplane to Fort Jefferson and the Dry Tortugas!! Bikes were everywhere and people on bikes were EVERYWHERE! Can you imagine? I was TRULY IN PARADISE!! In front of Kelly's Caribbean Bar Grill and Brewery in Key West. 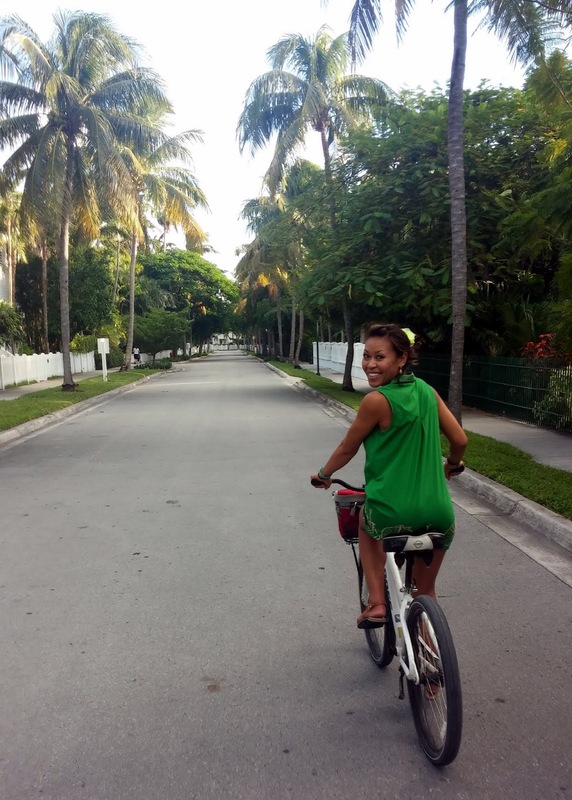 I cannot wait to share more with you so please check back for the Cuter Commuter's Guide to a Bike-Friendly Vacation in Key West. When we returned home I realized I had the post-travel blues. That's to be expected, right? But it wasn't because I was returning the office. We had a GREAT trip and I was happy to be home! I was eager to see our kitties and get back to work! So why did I have the case of the doldrums? I realized that it was because the last part of our trip was spent in Fort Lauderdale and Miami, FL. But unlike in Key West, we did not ride bikes. Instead we drove from place to place on miles and miles of freeway and toll roads. And when I am off the bike, for even just ONE day, it makes me a very sad bicycle commuter. o_O Watch out!! Fortunately, since we've been back in town our life once again started to revolve around bicycles. This past Friday evening, John's cycling team had a social gathering with food and drinks so the team can try on cycling kits. I met his teammates and it's always fun to chat with others about our shared interest in cycling. Saturday was the Cuter Commuter Women's Bicycling Bar Crawl that I had organized on Meetup.com. It didn't take long for that big goofy smile to return to my face after riding bikes all over town with girlfriends. 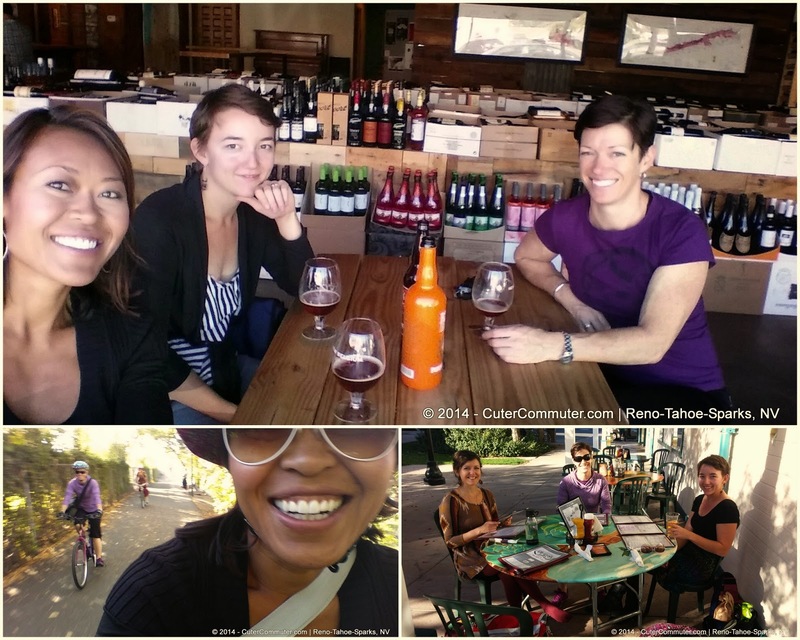 Be sure to join us for the next one http://www.meetup.com/CuterCommuter/ this Sunday, October 26th! Then Sunday afternoon, we rode from home to my colleague's house for dinner. It was a wonderful evening filled with great company and the most amazing food! 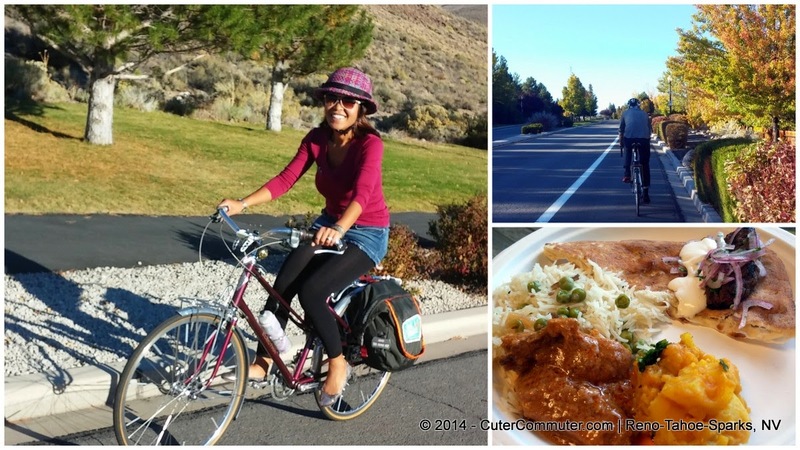 All I have to do is ride my bike to beat the post-travel blues. What do you do when you get in the doldrums after returning from a vacation?